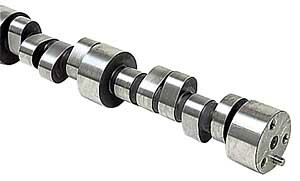 COMP Cams Xtreme Energy Mechanical Roller Camshaft Small Block Chevy 1955-98 Lift: .570"/.576"
**Note: Requires thrust button & wear plate. Best in street machines with 2800 stall converter, 10:1 or more compression with 3.73-3.90 rear gears. Does COMP Cams 12-771-8 fit your vehicle? The base circle on this is 1.10. COMP Cams 977-16 - Dual Valve Springs I.D. of Outer Dia. : 1.060"